South Africa’s favourite sales trainer. 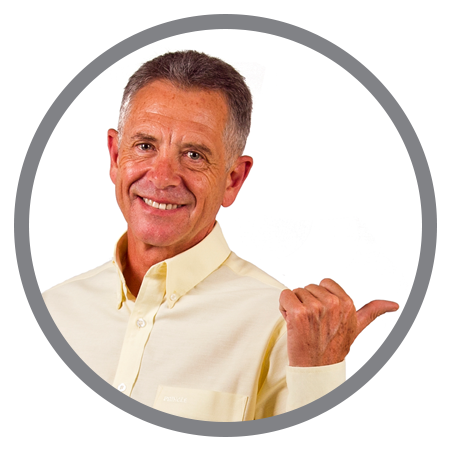 Ray is an experienced and accomplished Sales Trainer and Conference Speaker. He is committed to helping salespeople move from just being “Presenters” and “Information Providers” to being “Sales professionals”. Inspiring a Professional Attitude in Sales! Ray has been a general accounts salesman, key accounts salesman, sales manager, sales director and group managing director. NOTHING EVER HAPPENS UNTIL A SALESPERSON SELLS SOMETHING!!! Ray is fully bilingual and can include Afrikaans during the session if and when required. He connects well with all ages, races and genders. The training programme is customized to suit your needs. There are lots of group activities (to allow for further customization) and role plays (to allow delegates to get a “Feel” for implementing the material) throughout the programme. All programmes come with a comprehensive workbook (or notes, depending on duration), which allows for adding personal notes as well as constructing an “Action plan” to start implementing the skills learned. These workbooks / notes can be used as a refresher whenever necessary in the future. The training is authentic and relevant and is based on personal knowledge and experience rather than on internet research. Delegates “Buy in” rather than “tune out”.